when we went out for a schooner sail one afternoon. I wonder if this lighthouse needs a caretaker? I could sooooo live here. Hope your week is going well friends. First of all, I love lighthouses, too, and would live in one without a second thought if I had the chance! I can understand your Maine dreaming, I'd be doing the same thing! Your photos are beautiful, can just imagine being there! Loving this!!! And I love that bird in the last picture! Yes, I could for sure live here! I would even just love to sit in that lush grass and have a picnic. The pictures are beyond sharp!! Very pretty. I am always amazed at your pretty pictures!! I feel like I need to visit Maine now. I love lighthouses. 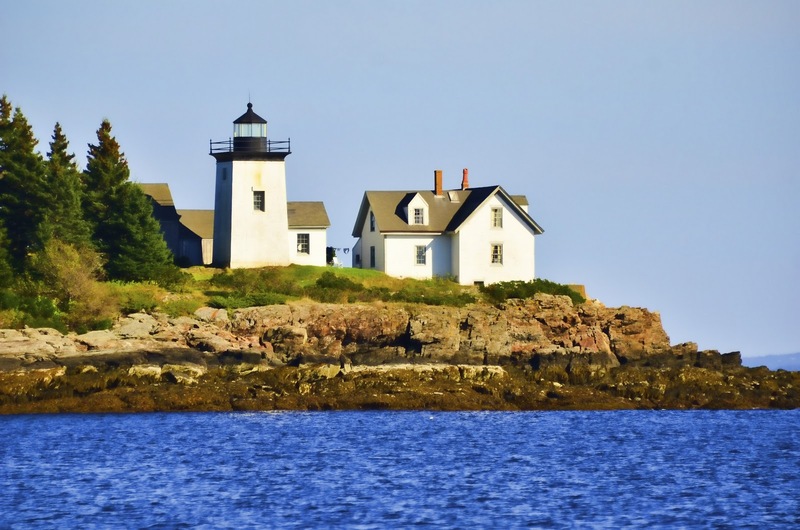 What a great view of the lighthouse and scene from your boat. Awesome photos, have a great day. So different in that it's square, not round. Very cool! We've visited many lighthouses around the Great Lakes, now I want to head to the East Coast and see a few of them there. Nice! What fantastic photos! I shall dream of Maine, too. Maine dreaming is contagious...now I'm doing it. Fabulous light! Such a lovely place. Of course I love those photos. I'm wondering what's wrong with the trees. They look a bit distressed with those brown dead looking patches. no wonder you love this beautiful place. i would like to see some Philly shots, like old buildings? do you take any of those? I guess we all know where you are going on vacation next year!! Maine is beautiful and I love the light houses up there. Great Photos!! Hi renna... I know that one ...if i remember right that is the only wway to get s shot of it is from the water.. I bet you are - it's beautiful! Sure look idyllic. Love the blue skies. Sure you'd live there now but wait til the cold drives arthritis into your bones and the long nights choked with fog so thick you can't see and then the wind coming off the ocean. Bleh. Nice place to visit I say but nope...wouldn't want to live there. Ahhhhh, that is quite dreamy...so peaceful looking. Certainly seems like a perfect place to get away. Pretty pretty! so beautiful, no wonder you are still dreaming of it! So pretty!! I've visited Maine once... a beautiful state! Your photos are so crisp and I really like your progression - from close up to further away. It would be cool to live there, surrounded by such beauty all the time. Sigh.....Since we're not able to go on our trip, I continue to enjoy the beautiful pictures from yours! I always thought it would be fun to live in a lighthouse. This one is beautiful! You might have to fight me for that job ;>) ONce again thanks for the Maine memories -- we saw that lighthouse. I photographed that lighthouse. Yours is better! Maine looks like heaven on earth! There is just something about lighthouses, and this is a beauty Reena! I would love to spend just one night in there! As always, your photographs are wonderful! That's one beautiful dream you're having. lovely photos of this wonderful light-house - Yes Reena! perfect location for a care-takers job. i love the progressive distance in these. 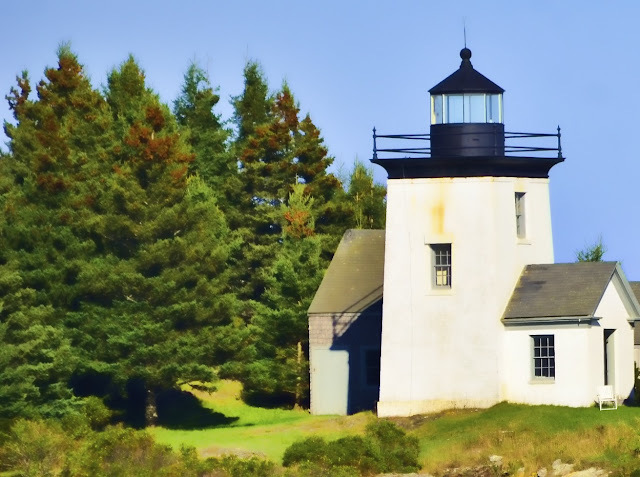 gorgeous lighthouse, and i must visit maine it just looks fabulous!! Now you got me dreaming.. 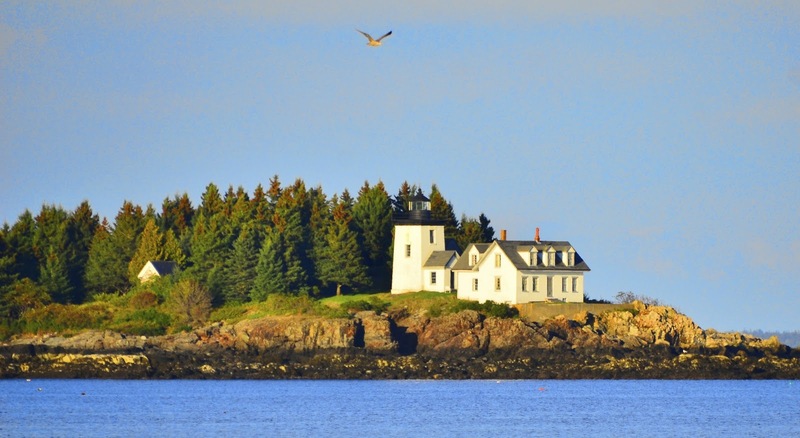 I would love to go to Maine..
Gorgeous! I love the processing used...it looks just like a painting! I don't blame you one bit. It's beautiful there.